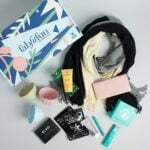 Amazon’s New Year New You Sample Box is a one-time sample box from the massive online retailer. With this handy box, Amazon is hoping to help Prime members maintain your resolutions by sending you sample sizes of top-rated vitamins, supplements and sports nutrition products to try. The best part is that Amazon pays you back for the price of the box with a credit you can put towards more of any of the items you find inside. The Cost: $14.99. But note that you’ll get a credit for that same amount that you can spend on getting more of the products you love from the sample box. The Products: 14+ samples of supplements, vitamins, sports nutrition, and more. Good to Know: This box is for Prime members only! I’m excited to explore some new wellness-related products for 2017! Let’s check it out. It sounds silly to say, but I was really excited to be introduced to these vitamins. I’m the perfect customer for gummy vitamins—I’m no good at swallowing those big adult vitamins, and I love any opportunity to enjoy something sweet. There’s just one problem, which is that I really don’t like gummy foods. I know, I know, I think I’m the only person on Earth who feels that way. But I definitely feel left out of the gummy vitamin fad! These mints on the other hand, are right up my alley! They’re a more pleasant, chewable way to get my daily vitamins in. Plus, they help dissolve any bad breath that comes with my morning coffee habit. I noticed that they get kind of chalky towards the end (they are more vitamin than mint, in the end), but I feel like this is a product I’ll look for in the future! Speaking of gummy vitamins, there are a whole bunch in this box! The first pack is from Smarty Pants, which is a brand I’ve been seeing more and more of in both wellness boxes and pharmacies. I like that they’re free of artificial colors and flavors, gluten, and other creepy ingredients that often sneak into these kinds of “healthy” products. Again, I’m not a gummy fan, so I might not be as eloquent about these as gummy lovers might be. What I will say is that I found these to be really candy-like, with a sweet, slightly tart taste. I stick to a mostly vegetarian diet, so the fact that these vitamins boast B12 right on the label made me go “ooh!” They advertise folate, too, which my doctor has recommended incorporating in my vitamin routine. I’m not looking to have a baby any time soon, but if and when that time comes, it’ll help to have been on a folate regimen already. There are also these probiotic gummies in the box. I’ve not dipped my toe into the world of probiotics yet, so I appreciated that these (and another product later on) gave me a chance to try ’em out. I didn’t find these gummies as exciting as the Smarty Pants vitamins, but again, my gummy palette isn’t very refined, haha! It’s tricky to say how beneficial these are, since I’m just trying one day’s worth (adults are recommended to have 2 a day, which is what’s included in this sample). I’d love to add probiotics to my routine, though, since they can greatly improve the health of your gut (which impacts the wellbeing of the rest of your body). This sample is probably most helpful to folks who already have a probiotics regimen and are looking for new fun ways to get their daily dose. These gummies are the first full-size product I’ve seen in the box. I was expecting all samples, so it’s neat they included something this big. These gummies had a juicy citrus flavor—the kind of taste that screams “vitamin C!” I’ve been seeing more and more folks with late-winter colds recently, so this boost of vitamin C is awfully timely. These gummies are also free from weird chemicals, such as artificial colors, preservatives, and more. There’s one more gummy-ish item in this sample box, and that’s this pack of “biotin bursts”. Think of them as acai-flavored Starburst candies with way more nutritional benefits. These have a deep, acai flavor to them. The best way I can describe acai is like a blueberry, but with a deeper, almost wine-like note to them. These advertise themselves as biotin chews, but I appreciate that there’s some antioxidant value in here, too. Biotin of course, is a key nutrient for healthy hair, skin, and nails, but antioxidants help keep the whole body in tip-top shape. What a dynamic duo! This is a traditional women’s vegetarian multivitamin, but I noticed that, according to the label, it focuses on some less traditional areas. I’m used to women’s vitamins being loud and proud about benefitting hair, skin, nail, and reproductive health. I like that bone health is covered here, as is stress, which I found interesting. This pill isn’t the biggest one I’ve seen, but it still took me a few gulps of water to get it down (that might just be me, though). It says on the package that it can be taken on an empty stomach (not counting the water to swallow it with, I assume). I’ve never had a bad reaction to having a vitamin on an empty stomach, but I know some folks with more sensitive stomachs who might appreciate this little tidbit. This is the second probiotic product in the box. Again, I’m not sure that I can tell the benefits from the small amount of exposure I’ve had to these thus far (especially since my digestive system is typically pretty chill already), but I’m looking forward to finding out! I found these capsules were more comfortable to swallow than chalky vitamins. My only qualm with these pills is that they don’t actually have the goofy faces that they have on the package (just kidding… sort of). I don’t think I’ve ever had an Emergen-C supplement when I wasn’t sick. Maybe it’s because of that, or because of the raspberry flavor (which is also a new experience for me), that the taste stuck out to me more than it has in the past. It’s pretty good, though there is a chalky note at the end of each sip. I’ll say, too, that the fizziness isn’t as strong as it seems on the packet. It’s more of a low-key sparkle, rather than a soda-style bubble. This is another item that I couldn’t tell the impact of… maybe that’s because I’m probably not working out hard enough to warrant a pre-workout supplement’s support. Even mixed with water, the citrus flavor is pretty bright, but I noticed a sort of chemical-ish aftertaste that I wasn’t so keen on. Unlike other products in this box, this supplement doesn’t shy from artificial ingredients. Not my fave pick in the box, but if you’re into these kinds of power workout potions, this could be up your alley. Now this is more my style! This protein powder is specially formulated for folks looking to lose weight. That’s not necessarily me, but I am happy to enjoy something that keeps my metabolism happy. This powder isn’t just free of weird chemicals—it’s also vegan, gluten-free, dairy-free, and soy free. The flavor admittedly has a bit of that oddly mild sweetness that comes from using sugar alternatives (which in this case, include all kinds of plant sources), and the vanilla flavor isn’t very rich. I tried this with milk, but I’d bet it’d be delicious in a smoothie or shake. One unique thing about this powder is that it contains Ashwagandha, which I’ve seen gaining notoriety in online natural health blogs. It’s related to stress relief, which makes it an interesting add here. Especially when you’re working out and trying to lose weight, curtailing stress is as important as it is tricky. How cool that this product thought to cover that issue! Vanilla not your thing? There’s a chocolate version in here, too! Again, that mild, not-quite-sweet sweetness was apparent in this powder. I’d definitely pick up this product again, but I might experiment with different ways to work it into my routine. I’m a coffee drinker, and I bet this would be awesome stirred into a latte (or straight into plain black coffee as an alternative to milk and sugar). If you’re more into whey protein, there’s a pack of that in this box, too. This seemed a bit creamier to me, and a slight bit sweeter, though it also can’t escape from a hint of that not-sweet-sweet taste. I appreciate that this is made with milk from grass-fed cows—though it’s not vegan, I like that it focuses on quality ingredients. If you wind up liking this product and want to know more, there’s a booklet of info that comes in the box. Again, very cool that this product is sourced from grass-fed cows and that it’s gluten-free and non-GMO. Wait. Burt’s Bees makes protein powder now? Holy cow! I wouldn’t have expected that at all. I suppose this is an example of the product discovery experience you get with a box like this! Taste-wise, I wasn’t so into this one, as the sweetness ended up being a little weird. I think it’s because they incorporate honey in the recipe, which adds a layer to the flavor that didn’t sit well with my palette. I like that there’s an antioxidant element to this supplement, though—I suppose that’s what aligns it with Burt’s Bees’ beauty mission. On to my favorite items in this box. The snack bars! They really knocked it out of the park with the bars they included in this sample box, starting with this cinnamon-sweet bar. I’ve never seen a cinnamon roll bar before, and now I’m like, why?! This flavor is awesome—it tastes like all of your favorite breakfast cereals. And speaking of cereal, this bar has a hearty crunchiness to it, sort of like a sturdier rice treat. It’s not too sweet, but deliciously cinnamon-y. Plus, this gluten-free bar has 12 grams of protein! I loved getting a nice dose of protein in such a tasty treat. There’s a chocolate version of this bar in the box, too. The flavor of the chocolate is less Cocoa Puffs and more Oreo cookie. It was super satisfying and not too sweet. I am definitely buying some of these for my pantry. As with the powder supplements, there’s usually a weird not-sweet-sweet taste that creeps into a lot of plant-based, low-glycemic products. I was expecting that with this bar, but I think the peanut butter aspect covers or cuts out that vibe completely. This bar was a nice combination of chewiness and crunchiness. I loved the dessert-worthy peanut butter and chocolate combo. If anything, I wish it was just a smidge bigger. What a tasty source of plant-based protein! Last but not least is my favorite item in the box. This bar features rich, cocoa Clif Bar crunch around a center of creamy, salty peanut butter. It’s like eating a peanut butter cup in granola bar form. Clif Bars are mostly about providing good, long-lasting energy, so this isn’t something I’d want to reach for to satisfy my hunger. But if I’m about to go to the gym, or if I need a breakfast on the go, this is the perfect decadent, delicious treat. The Verdict: What a great box of healthy finds! While not everything was up my alley, the fact that most items were sample sized meant that I didn’t feel like I was losing a lot of value from not putting an item to use. I do really feel like I discovered a lot of items I didn’t know about before, and may not have thought to look for—I have so many protein-packed snacks to buy now! Speaking of which, this is a reminder that I get the $14.99 I spent on the box back as credit to spend on more of the items I loved. Pretty cool. And being that the value I estimated is around $38.00, I feel like this is a stellar deal! What do you think of the Amazon New Year New You Sample Box? I went ahead and ordered the box. Apart from the credit, it seems to have a good value out of it. Overall i looooovveeeddd this box! I hear you Linda! I didn’t notice it in that bar, but I’m always so bummed when I do notice it. I’m curious about your cinnamon theory! Let us know what you discover with your Raw product experiment 🙂 Thank you so much for reading! fyi – gummies generally are not vegetarian or vegan. they have gelatin which is made from animal skin and bones. Would love more gelatin free options! Honest company gummies don’t have gelatin. And their vitamin c gummies are really good. The orange vitamin C gummies from this box are vegetarian, they are thickened with pectin. Also, Vitafive has some vegetarian/vegan gummies. Most gelatin used in industry comes from cartilage, like that associated with chicken sternum, although sometimes it comes from fish skin or pig skin. It is denatured collagen. Went and purchased this right away! Great review, I am so excited to try these! I’ve gotten a few of Amazon’s boxes and only one promised credit showed up when I went to purchase. I made sure that the items were within the terms of the deal but no go. I’ve had to call and they do give me a credit but it’s just irritating. I keep getting the boxes though because I find such good things, like my new fav, Bing’s Black Cherry 🍒Energy drink! That’s funny. The same thing happened to me with Amazon boxes but I thought I wasn’t smart enough to figure out where they were hiding the credit. Next time I’ll call. Thanks for the tip! Me too. Im hoping they’ve fixed their glitches. I just realized I never got the credit from this box either. I got this box and everything was exactly the same. Loved it. I bought this box and so did my sister. I loved most of it and was able to swap the rest!